Economic recovery was always going to happen at some point and in the same way that it took a few years to reach the bottom, it is likely to take a few years to fully recover. There are a few lessons however, that may make 2014 a good year for your business. Believe it or not, plenty of experts reckon that recessions are better for SME’s than large companies. That can be because they are more agile, have lower cost bases and also fewer liabilities. Large companies however tend to have more resources, and more fat to cut away when times are tough. The big difference comes when recovery arrives. Generally, when SME’s have fewer resources they tend to stop doing things. Marketing, training, events and so on are often the first to go. Larger companies however tend to reduce these rather than stop completely. This gives them an advantage when the economy improves as they have foundations to build upon. A much more significant factor however, is cash stockpiling. Currently the UK’s largest businesses have stockpiled more than £166bn in cash. For reference, that is 33% higher than in 2008. Once recovery takes hold, those cash stockpiles will be invested once more in marketing activity to generate sales. After nearly 20 years in sales and marketing, believe me, £166bn will pay for a LOT of marketing activity. So where does that leave the SME marketing in 2014? Well, this is part of the reason that the time to act is early. Ideally, you need to begin before your larger competitors start to burn their cash pile on marketing to generate customers. You have to remember that marketing is fundamentally a competition for the attention of your customers. Right now, there isn’t much competition, but once recovery takes hold, it will increase very, very quickly. As a veteran of a few recessions and mini-recessions. I have seen the results before. How can we ensure we don’t miss out on economic recovery? The answer is to begin low level marketing now, to gain intelligence around the most effective methods for your business. Once you understand which channels work for you, you will be in a position to scale this as the recovery takes hold. How soon should we start marketing? Every day, we speak to companies and they tell us they want to start ramping up their activity in January. When we explain that this means planning in December, the general response is that they will wait until January and then just push the button. 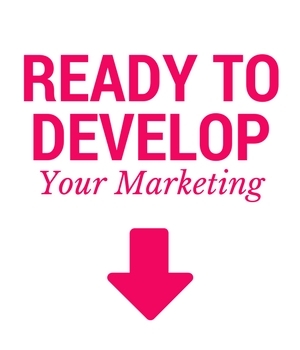 A well planned marketing campaign takes at least 4 weeks to plan and execute, so even if you started now, it will only be ready for January. Don’t miss out on the opportunity to get a head start on that £166bn cash pile. once it arrives, it will be very difficult for any of us to get in front of it.